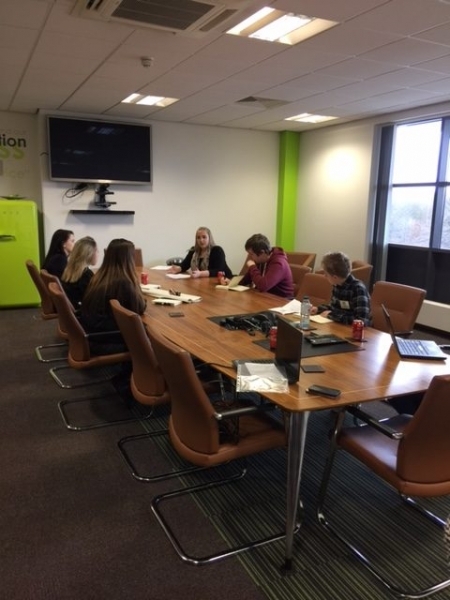 On Tuesday 7th March Mrs Graff took 5 Business Studies students to a Business challenge day at AO.com logistical headquarters in Crewe. 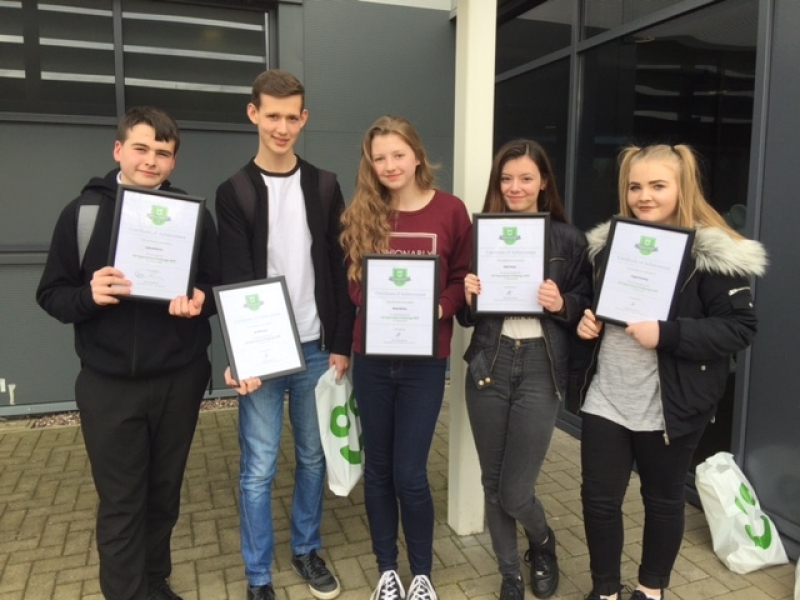 Our pupils were Jonathan Wareing, Callum Martin, Teigan Bryning, Nicole Bishop and Millie Wady. The event was attended by the Winsford Academy, Congleton High, Ruskin School, Brine Leas School and Sir William Stanier. The students were spilt up across 5 teams, which consisted of a student from each school. They were tasked with creating a 6 week engagement event for AO.com’s home delivery drivers. It would be AO’s way of saying thank you for all their hard work. 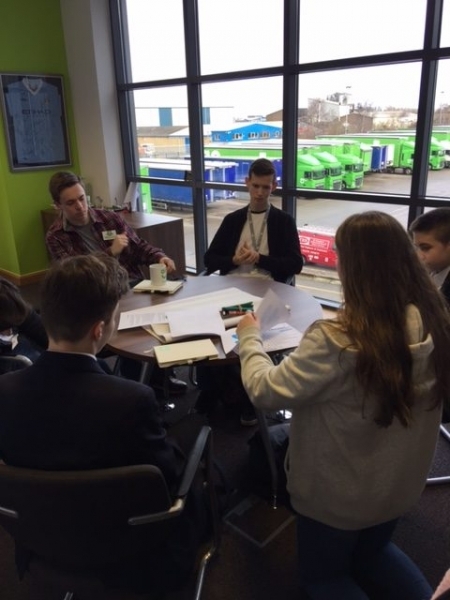 The pupils worked tirelessly for 4 hours to get their plan ready to present to the Managing Director of AO Logistics Dave Ashwell. It was Callum Martin’s team that was chosen as the winner by Dave Ashwell. Their ideas consisted of Driver Bingo, Driver fancy dress, Driver text Quiz’s (to be completed by the passenger part of the delivery team not the driver!) and they received a certificate, goody bag and a £20 Love to shop GV. Callum’s prize for being on the winning team is a week’s work experience at AO.com.